I reviewed the Winter limited edition Mint m&m's in the past and found them to be enjoyable but not very striking (see review here). 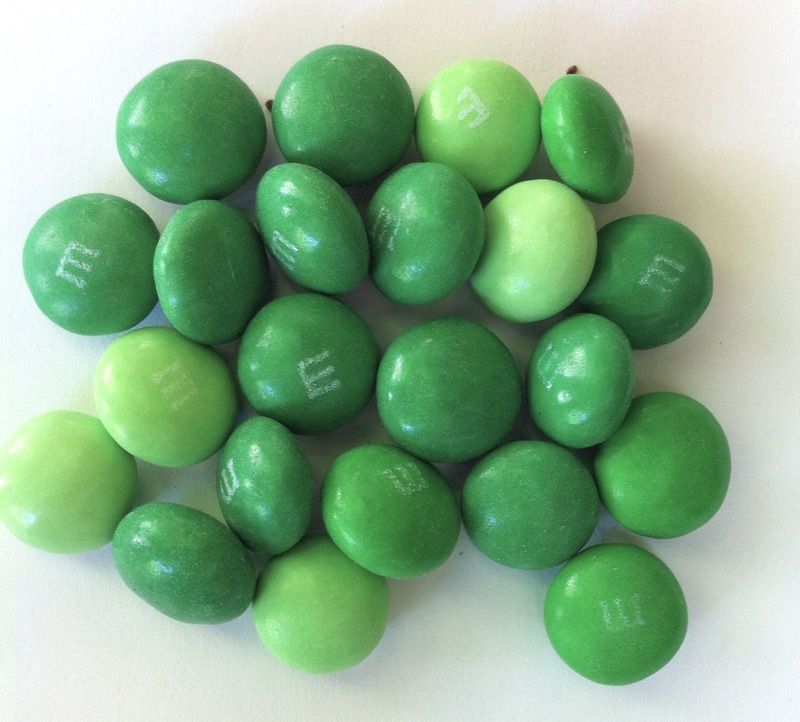 These new Dark Chocolate Mint m&m's are an improvement. The dark chocolate combines with the subtle mint infusion to create a soothing, pleasing flavor. I'll admit, the dark chocolate in these doesn't seem as dark or flavorful as the stuff used in Dark Chocolate m&m's. 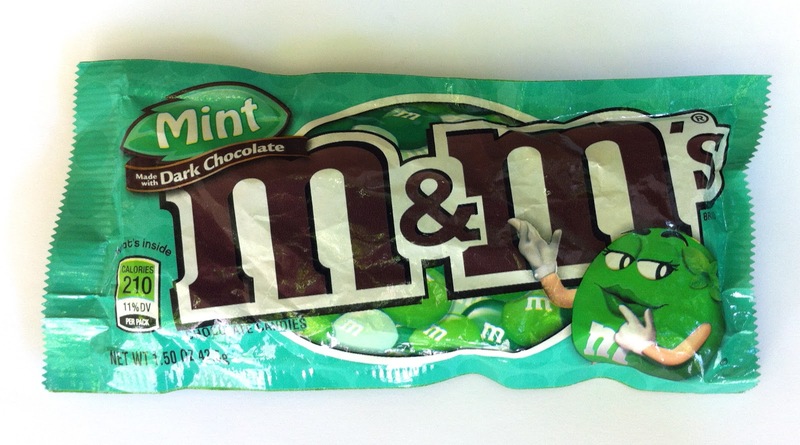 These would be even better if the dark chocolate maintained a little bitterness to offset the sweet mint. And the infusion of mint is still on the light side- I'd prefer a bit more strident mint flavor. These are certainly pleasant, the flavors just all seem a bit muted. 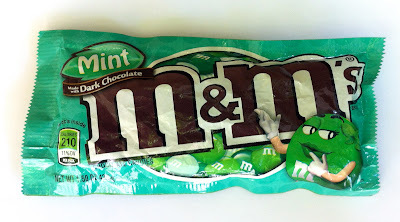 I still prefer basic m&m's (or peanut butter m&m's...yum) to the mint-infused ones, but these are the best mint product m&m's has developed yet. Maybe they'll go even further in the next round and come out with something extraordinary. Thanks for finding these, Mark! 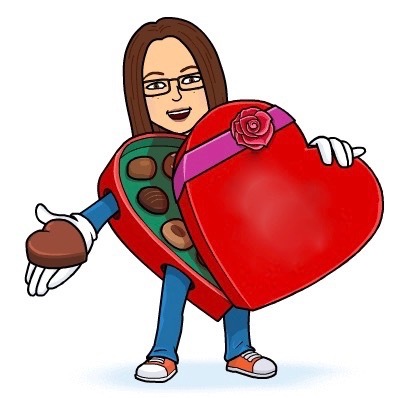 As an intrepid traveler into the world of candy, I am wondering: how are your teeth! What is the Mystery Flavor of Dum Dum Pops?